If your team is in the market fo a new PaaS cloud platform, this developer has a message for you: choose Azure. Why would you choose any system that doesn’t fit the requirement list of your business? And why would you not buy the gold standard platform, provided by a globally-recognized organization, with services that align with your enterprise’s needs? There is no reason not to choose Microsoft for building your company’s IT base and there are a lot of reasons to choose Azure as the cloud computing platform for fulfilling your business needs in the best possible way. Let’s discuss a few of the reasons why Azure is the best choice for your company’s cloud. In the case of PaaS platforms, Azure is regarded as a platform which provides faster and stronger PaaS capabilities than others. It makes it easy for developers to design and deploy applications efficiently and quickly by providing the best of the environment and tools for development. With the help of Azure, Microsoft takes care of the major parts of infrastructure management, which is, again, a big advantage for the Azure users. 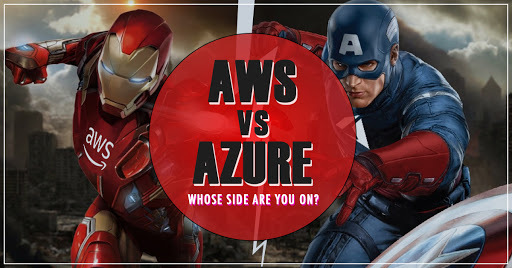 It is important for a cloud infrastructure to provide highly-reliable and efficient PaaS services and Azure seems to be leading the market in both. Microsoft keeps adding new features to Azure so as to build a more advanced cloud platform. Now, Azure provides an integrated environment to the Azure developers for developing, testing and deploying cloud applications. It provides the client with the freedom of choosing between frameworks and development languages which further increases the flexibility of Azure migration. To keep pace with the evolving needs of the industry and technological trends, Microsoft Azure provides you with the IoT Suite which provides solutions for scenarios where remote monitoring and predictive maintenance come into the picture. Azure Developer Tools offer highly flexible and advanced facilities which you could practically implement in your applications for push notifications, streaming analytics, IoT deployments, and machine learning capabilities. Azure is in every way lined up with the evolving industry and its assurance process as it is based on the SDL, Security Development Lifecycle. While on the Azure Cloud, all of your organization’s data and services are absolutely secure and protected. Moreover, security is something that you would not need to worry about when all the Azure services are provided by Microsoft, which provides supremely reliable services across the world. If your organization is using the Microsoft software and services, then it must have an Enterprise Agreement with Microsoft. It would avail your company of certain discounts and significant incentives for using the Azure Cloud platform as the operating system in your organization.